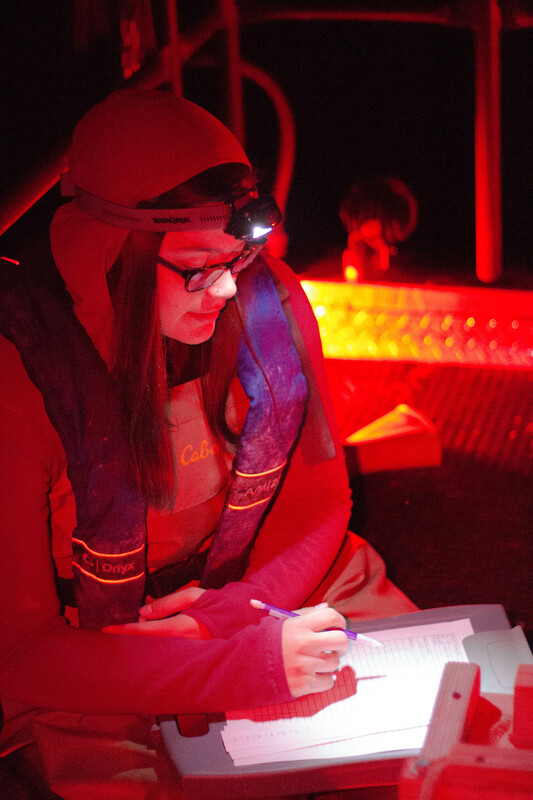 This fall, our field team is out conducting electrofishing surveys on sixteen lakes in Michigan (video). Our goal is to determine if changes to shoreline habitats are impacting the growth, reproduction, and population sizes of Largemouth Bass. When we catch Largemouth Bass, we also compare what they were eating to the habitats in which they were found. Almost halfway through our surveys for the year, we’ve collected plenty of data. Here are a few shots from the field. 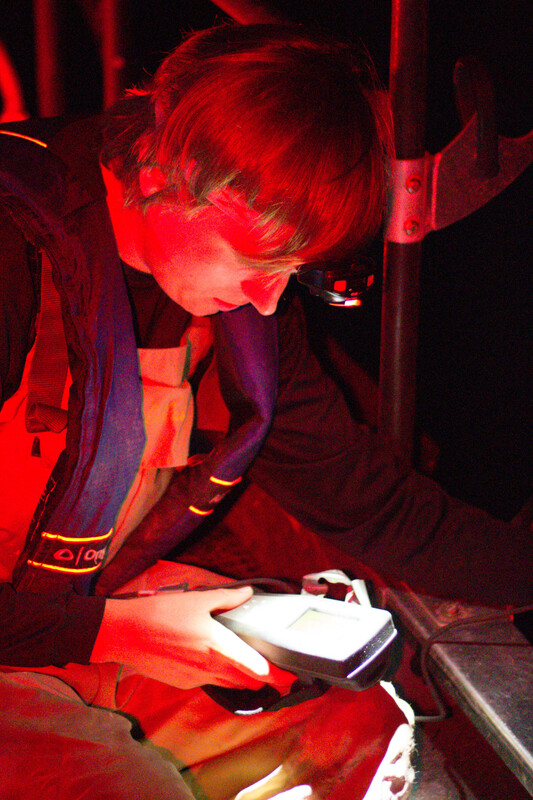 Time lapse of electrofishing surveys conducted at Pine Lake, Michigan. 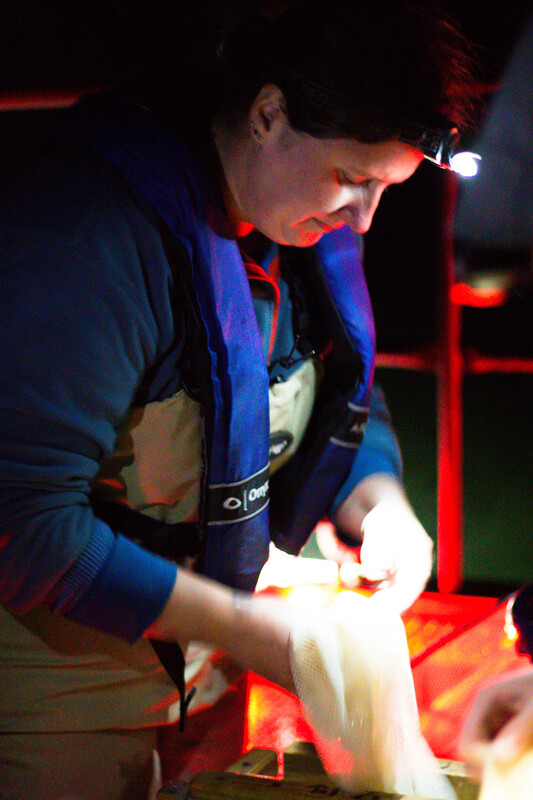 Jess Clark checks the livewell on the electrofishing boat for Largemouth Bass to measure and release. 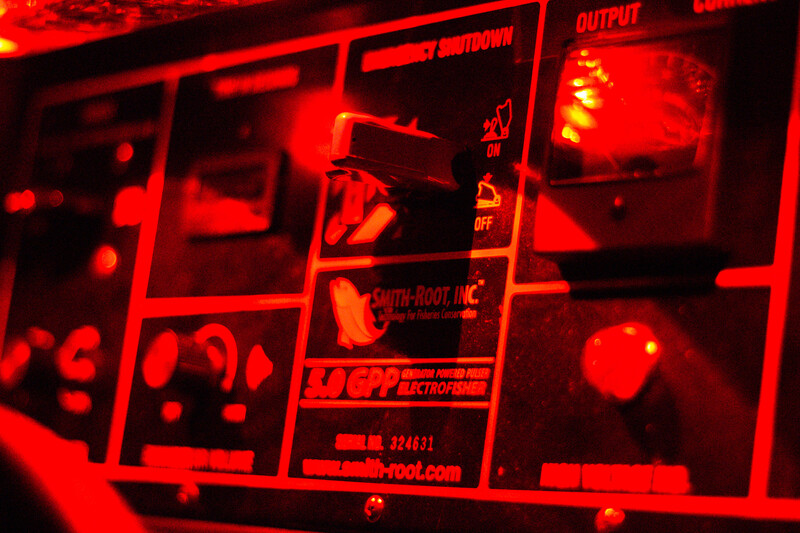 The control panel of our Smith-Root electrofishing boat.